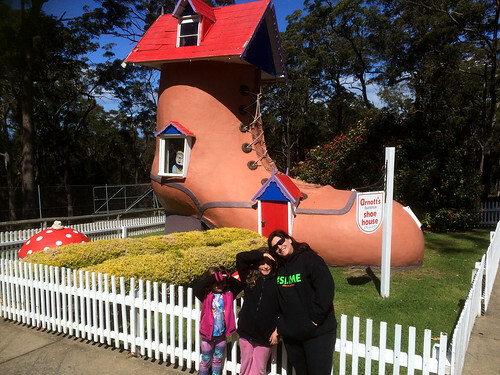 We headed up to Sydney again to take Milla and the girls to Slimefest for Milla’s birthday. This time we put the dogs into the Coldstream Animal Shelter for kennelling. I took the dogs up there. When I got there the noise was so loud from the other dogs barking. The dogs were well behaved and it went smoothly. It us a very expensive option. Having three dogs, it worked out to over. $70 per day or more than $700 for ten days. We had a nice dinner in Holbrook. 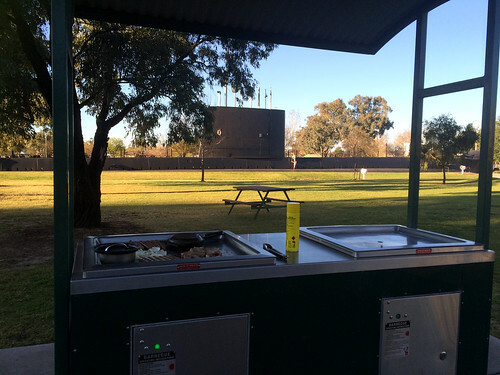 We stopped at the Holbrook IGA and bought some sausages and chops and had a BBQ at the submarine. Our first submarine BBQ. The trip up went very well. Everyone is getting used to the trips in the van. We stopped overnight for a pleasant stay in South Gundagai. 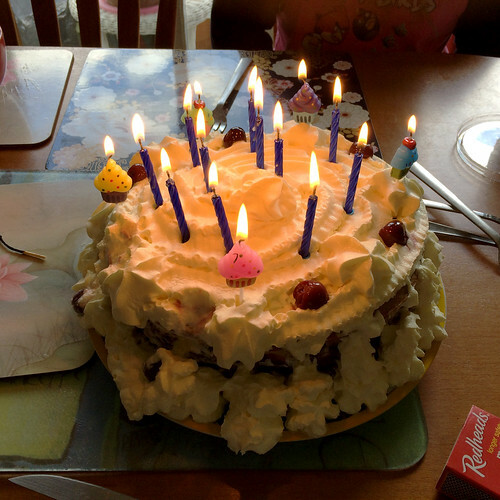 Once in Lawson, Milla had her 11th Birthday. 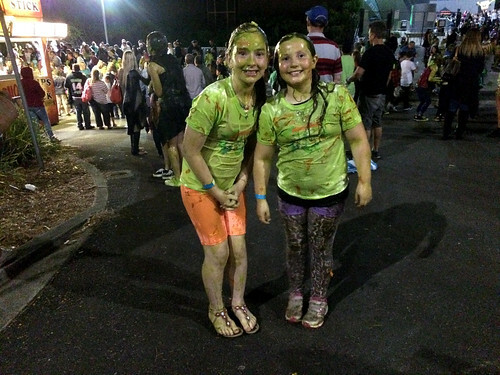 I took everyone down to Slimefest and waited outside. Krysta and Milla were pleased to get very slimes. Teresa was happy to be able to go into the concert. The girls really loved it. When we went. To return the van didn’t want to start. See this post for more on the van. We only stayed a few days. Because of the van problems we did not do the visiting planed down in Marrickville. This was the second time the Van had foiled my plans for a visiting in Sydney. We left a day late to return to Melbourne. It was a stinking hot day. There were several bad noises. Enough that I stopped a few times. I could not work it out. But I think it was the air conditioner blown up. Later we had to have the condenser replaced. The service people were shocked. The pressure release valve had blown. They though this meant it had got clogged. We also discovered that Bunnings is a good place to stop for a cheap lunch as we were near one and no one wanted to drive further to get food. We stopped for one night rather than two with the Potters in Dalmeny. It is always good to see them and it has been too long. Phil has since had an operation, I hope he is in for a period of much improved health. Out original plan was to spend two nights at Dalmeny, but our late start meant we only could spend half a day there. We spent half a day, rather than the initially planned day at Magic Mountain. I don’t think Kirsten approved much. But the kids loved it. It was their first time for water slides, metal toboggan runs and mini golf. I had not been there for twenty odd years. The toboggan had not changed. After this we stayed the night at the Commercial Hotel in Orbost. Kirsten found and booked it online as we drove down the road. In some ways she is much more adept at using the internet than I. The accommodation was what we wanted. The rooms were spartan, large, and clean. This was good. We had a pub meal in the hotel and headed out the next morning. 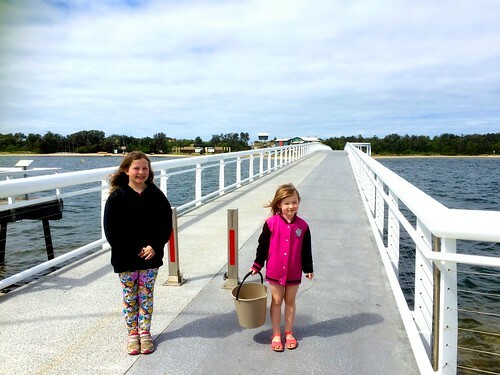 Lunch was in Lakes Entrance. I took the children down to the beach. It was extremely windy. We had a nice, but expensive lunch in a cafe. When I went to pay there was a young police man standing at the counter. He had four items, including three take away coffees. The transaction was already going when I arrive. The police man said, I will pay for this one, pointing to a coffee. The shop keeper winced. The police man said: or these two. As the police man paid the shop keeper frowned and said: I think this is a bad transaction. The rest of the journey home was uneventful and we got home at a reasonable time. I think we will do this option more often. The next day I picked up the dogs. The staff loved them. They were very quiet and well behaved. Dusty and Brutus even got in the car and sat there obediently. Though the rogue coco ran off. They did not bark once and I think their barking was cured for several months.